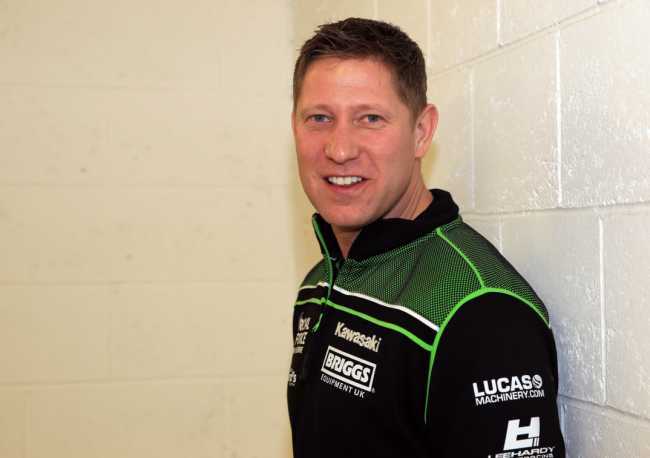 Leading British Superbike Championship team RAF Regular and Reserve Kawasaki will make their return to the Isle of Man TT Races fuelled by Monster Energy this year having signed double TT race winner Gary Johnson who will again be among the favourites for honours. Based at RAF Markham, the team return to the TT for the first time since 2015 and will field Johnson on Kawasaki ZX-10RR machinery in the RST Superbike, RL 360 Superstock and PokerStars Senior TT Races and Triumph machinery for the Monster Energy Supersport Races. Lincolnshire’s Johnson rode for Lee Hardy’s Team, who will again run Jake Dixon in the British Superbike Championship, at last year’s Macau Grand Prix and, despite limited track time on the ZX-10RR, immediately impressed with a strong sixth place. Since making his debut in 2007, Johnson has established himself as one of the leading exponents around the 37.73-mile Mountain Course taking wins in the 2011 and 2014 Supersport Races with only bad luck denying him more. In total, he’s taken six podiums and his fastest lap of 130.945mph, set on a Kawasaki ZX-10R in 2016, makes him the 12th fastest rider of all time currently. The now 37-year old has a number of years’ experience riding Kawasakis and finished second behind Michael Dunlop in the 2013 Superstock Race having led for the first half of the race before being slowed by an oil leak. He also rode for JG Speedfit Kawasaki in 2016 before running his own team on Suzukis last year when late arrival of the GSXR resulted in him being down the leaderboard. Hardy’s team last lined up on Glencrutchery Road three years ago, under the Briggs Equipment BMW banner with Peter Hickman campaigning a S1000RR in his second year at the TT. The combination enjoyed an excellent week both in terms of results and reliability with fifth in the Superstock, seventh in the Senior and eighth in the Superbike Races.